The visual artist Elena Näsänen’s (b. 1968) The Passerby is on display in the Alvar Aalto Museum Gallery 22.3–5.5.2013. The exhibition, which combines video art and photography, shows part of Aalto’s production, but seen through other eyes. Elena Näsänen. Photo: Maija Holma / Alvar Aalto Museum. Elena Näsänen, an artist with both an international and national reputation, works with film and video installations. She studied at the Academy of Fine Arts in Helsinki and at the Slade School of Fine Art in London. In her work she combines elements from traditional narrative film and video installation. The sound world of her videoworks is carefully considered and helps give them their final form. The exhibition premieres Näsänen’s latest videowork The Passerby. In it a foreign woman walks the streets of Helsinki looking for Alvar Aalto buildings that have become icons. Her places of pilgrimage are Finlandia Hall, Stora Enso’s Head Office, Aalto’s own home and his studio. This laconically constructed work takes us on a hypnotic journey into the main character’s inner world, and to Aalto’s buildings. 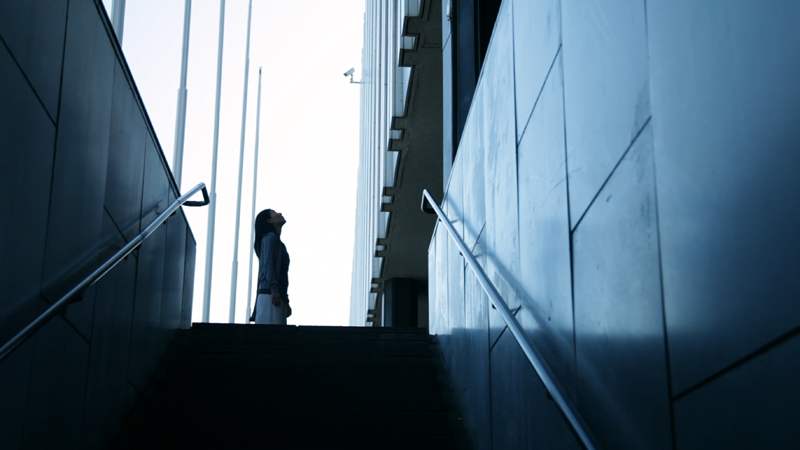 Viewers get to observe the wordless communication between the passer-by and the buildings. The main role is played by the Japanese actor Yuko Takeda. Elena Näsänen’s The Passerby videowork (still), woman played by Yuko Takeda. Elena Näsänen’s production will be on view in Finland’s capital region in December and January. One of her latest video­works The Spell (2011) is being shown in the Artists’ Association of Finland’s 117th annual exhibition Artists 2012 at Kunsthalle Helsinki until the beginning of January. Näsänen’s video production is also constantly touring international exhibitions and festivals around the world. Her static videowork The Mountain (2007) was shown at the Contemporary New Media Audio-Visual Arts festival in Madrid at the beginning of December 2012.The Mountain was part of a compilation of Finnish video art curated by KirsiMarja Metsähuone for the Madrid festival. The compilation was also shown at the Instituto Iberoamericano de Finlandia in Madrid. Näsänen’s videowork Wasteland (2009), an environmental-ecological western shot in Australia, will be shown in the Bodies, Borders, Crossings exhibition of Finnish photography and video art at the Preus Museum in Horten, Norway, in January 2013. Bodies, Borders, Crossings is a touring exhibition, curated by Leena-Maija Rossi and Kari Soinio and assembled by the Finnish Cultural Institute in New York and the Institut français de Finlande, which began its tour in New York in 2011. 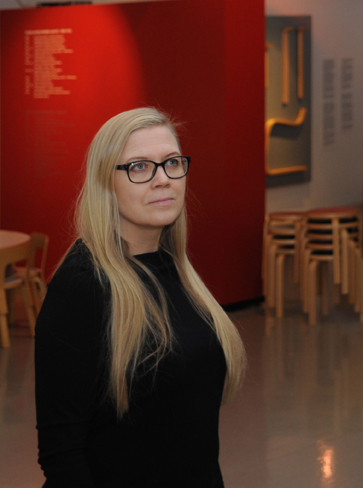 Alongside her artistic work, Elena Näsänen has been Production Consultant on media art at AVEK, Helsinki, since autumn 2012. She has previously been president of the Artists’ Association of Finland and chairperson of the MUU artists’ association.